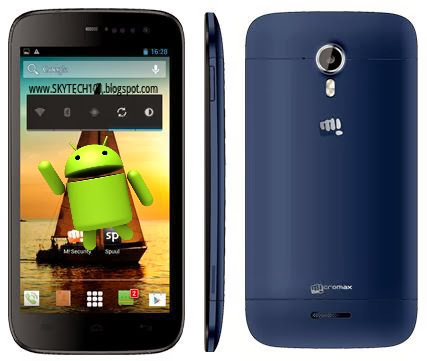 Micromax Canvas Magnus A116 the younger brother of the Canvas Turbo A250. The Canvas Magnus is a little bit stripped down version of the Canvas Turbo. It boasts a 5 inch HD display with 1280x720p resolution. Running on the Android 4. 2 OS it packs a Mediatek MT6589T chipset clocked at 1.5GHz similar to Turbo. There is a12MP rear camera capable of 1080p video recording and 2MP front camera. The in-built memory is 4GB and 1GB of Ram for multi tasking. As the chipset is similar to Canvas Turbo so it can be rooted by same method.